Hailing from the Gloucestershire, England, Spraggy has been a professional poker player since graduating from university in 2012. Hailing from the Gloucestershire, England, Spraggy has been a professional poker player since graduating from university in 2012. After building up a large group of followers through streaming poker on Twitch, he caught the eye of PokerStars and became a member of Team PokerStars Online. Most days, you’ll find him streaming MTTs on Twitch at the PokerStars channel, but he still pleases the 20,000 followers of his own channel with regular streaming there too. Though Spraggy has become popular through playing multi-table tournaments online, his roots are in the cash game format. After depositing $100 at PokerStars, he snowballed his bankroll into $140,000 by grinding through the stakes in the Zoom games. Starting at $0.02/$0.05, Spraggy built up his bankroll over the course of four years and played as high as $5/$10 during this period. When he began streaming on Twitch, he soon fell in love with tournament poker – it often goes this way as tournaments provide more of a spectacle for viewers. Running up a five-figure bankroll in the space of just a few months, Spraggy keeps proving that the online poker dream isn’t dead. Aside from educating his Twitch audience about poker strategy, Spraggy also is a coach at PokerVIP. On top of the streaming and coaching, he also makes poker content over on his YouTube channel. Off the table, Spraggy enjoys gaming, football and wine. His love for gaming is reflected in his purchase of a full-sized arcade game machine that sits in the background as he streams. He’s usually a PC gamer and has been known to indulge in some Rocket League and PLAYERUNKNOWN’S BATTLEGROUNDS every now and then. Spraggy represents his local football team Tetbury Town F.C. on the pitch, and is also a supporter of the larger Gloucester City. PokerStars glamour queen Liv Boeree has pulled out an incredible call to own Twitch streamer Ben “Spraggy” Spragg. It’s every player’s dream to head out to Vegas and return with jewellery, but poker-loving Suzie Williamson’s story had a unique twist to it. 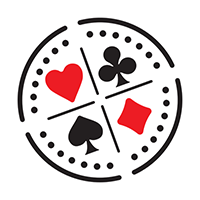 Global Poker: A Favourite With Twitch & YouTube Streamers! Global Poker's Online World Challenge (OWC) has become a firm favourite of the YouTube and Twitch TV grinders. A new video podcast in which they largely just talk over each other, throw shade and ‘talk nonsense about topics we are 100% not qualified to discuss’.